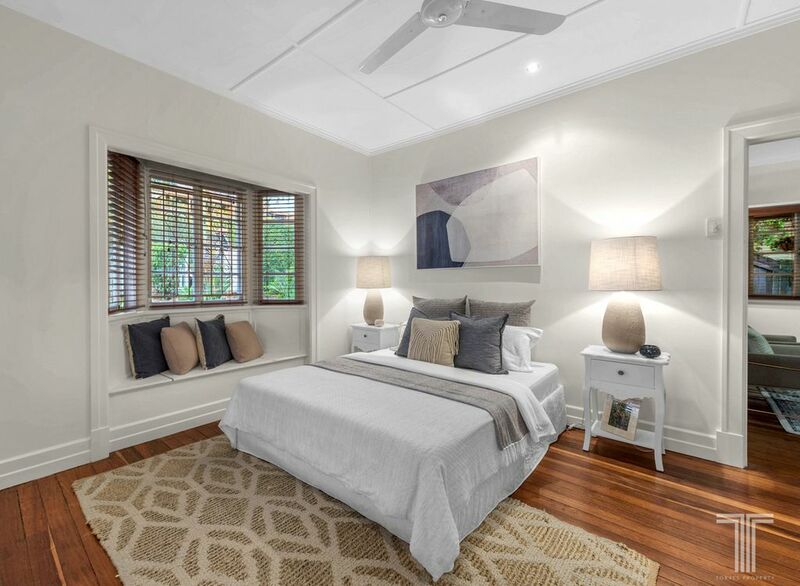 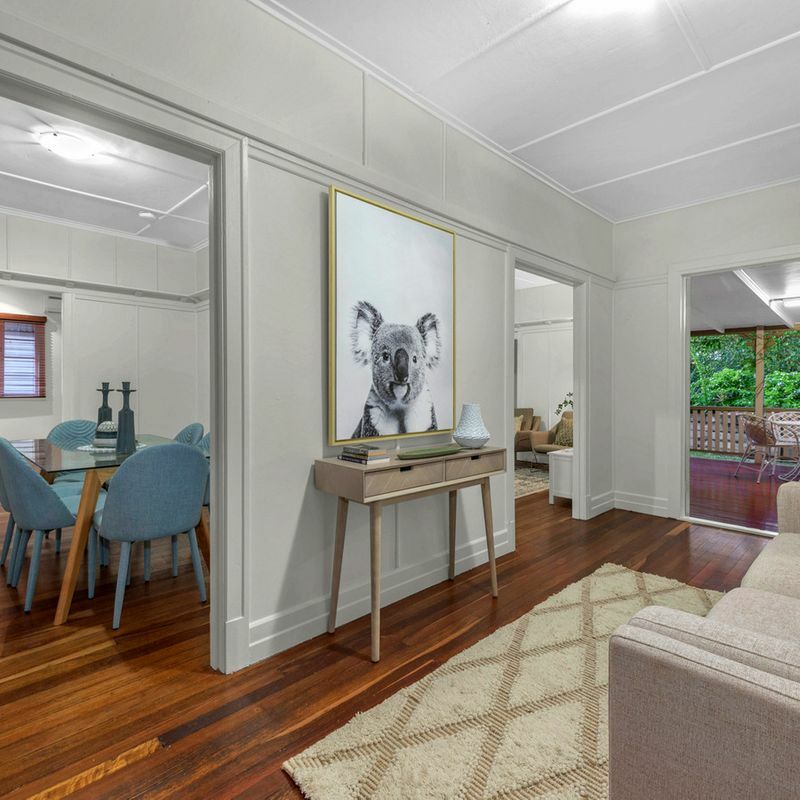 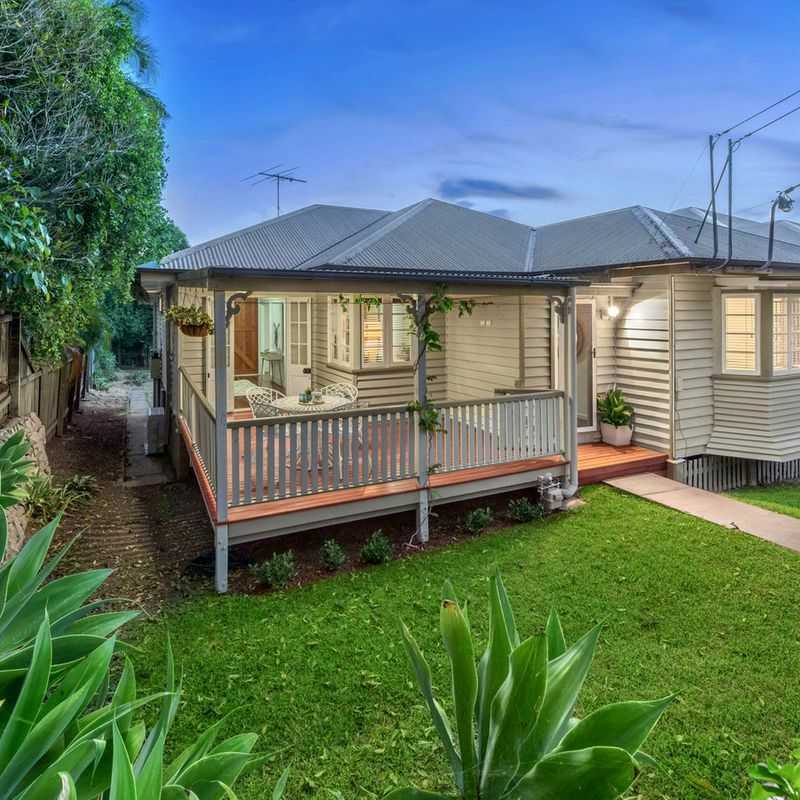 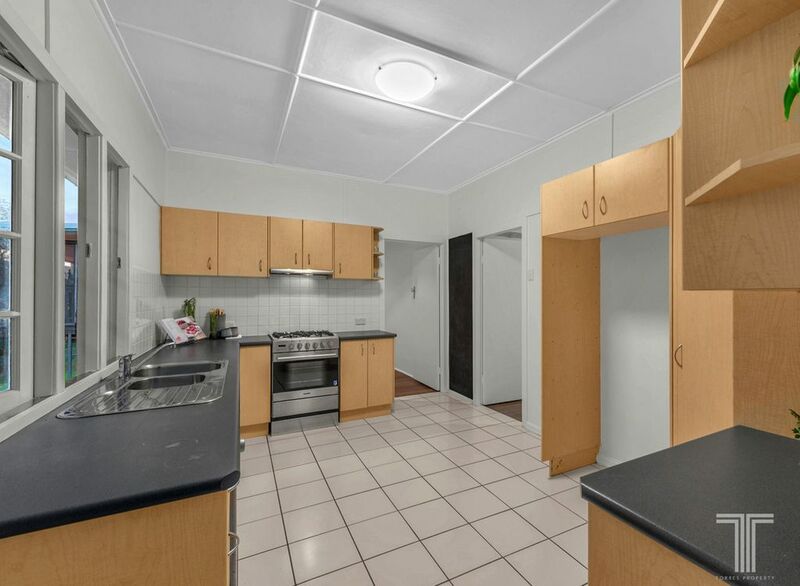 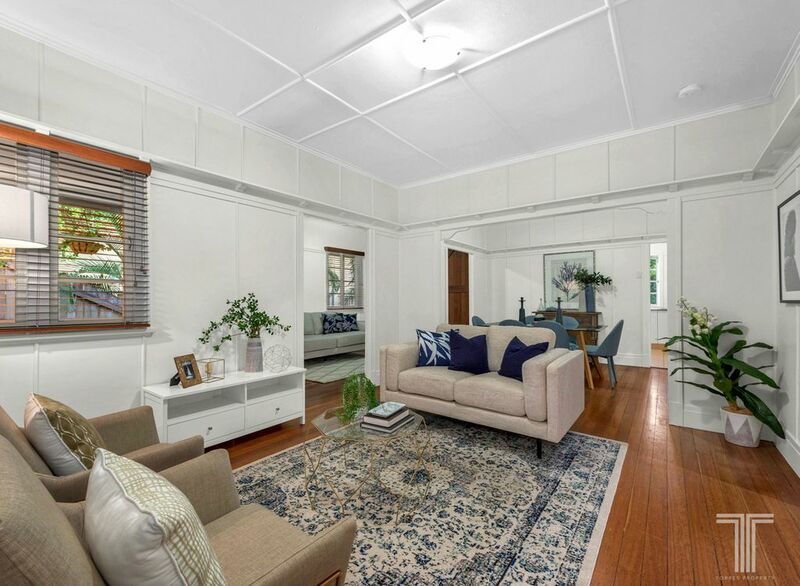 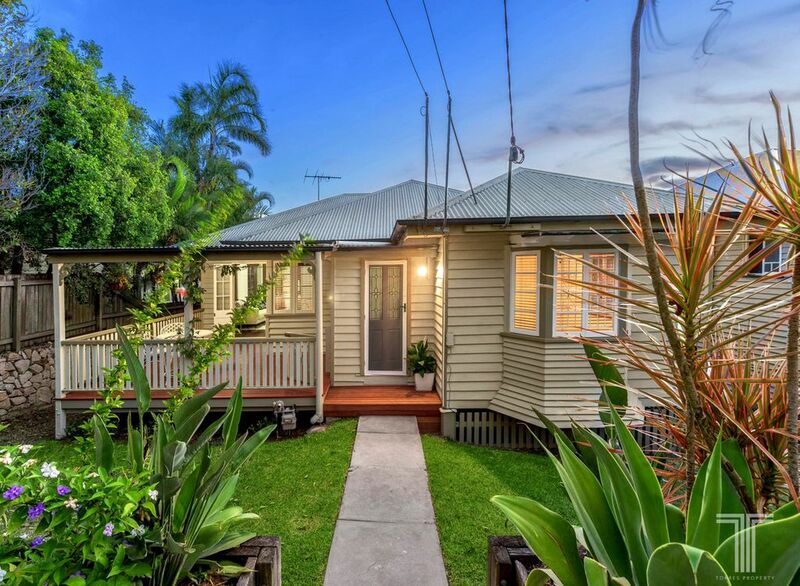 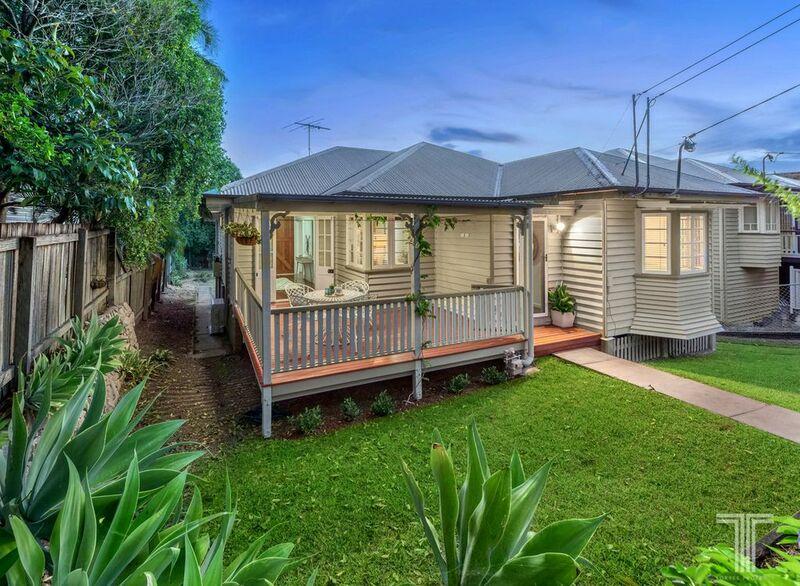 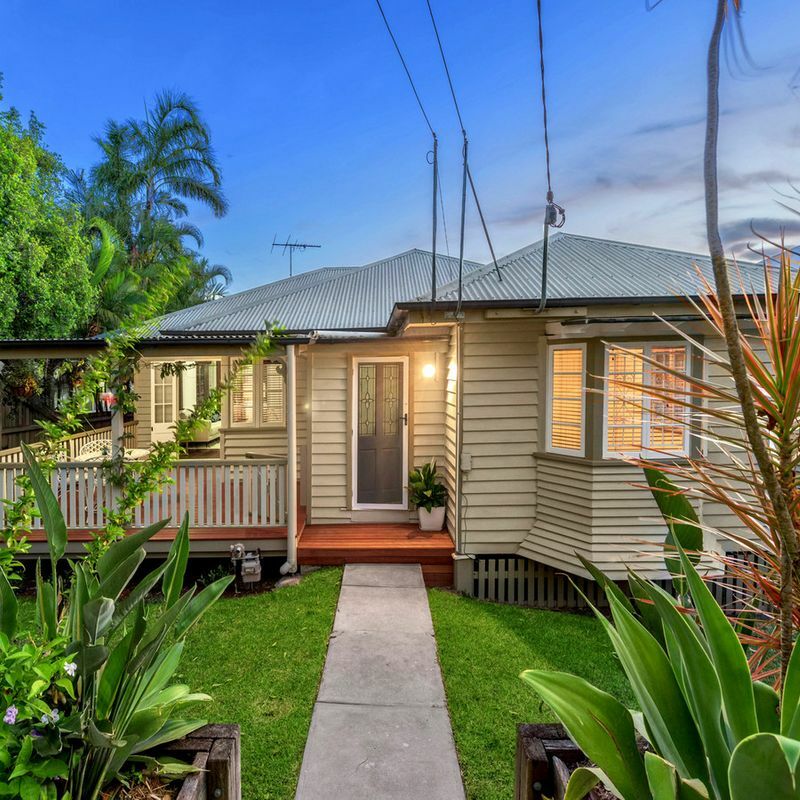 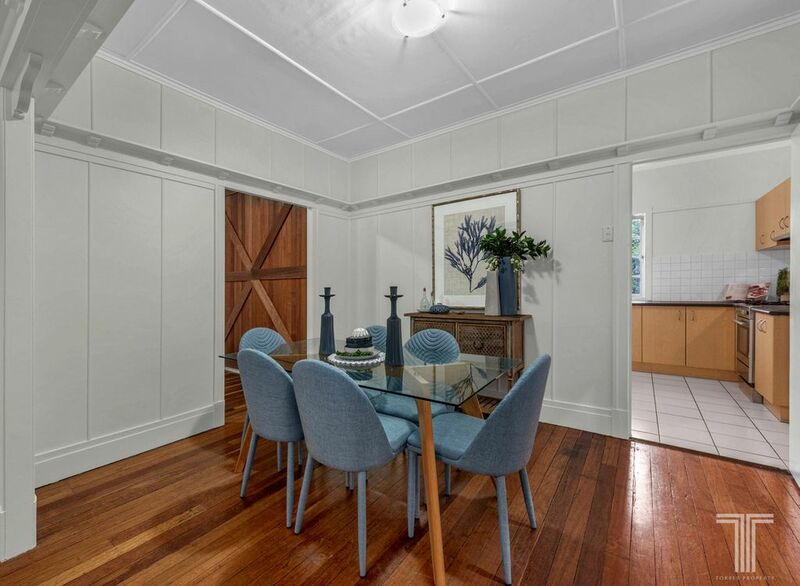 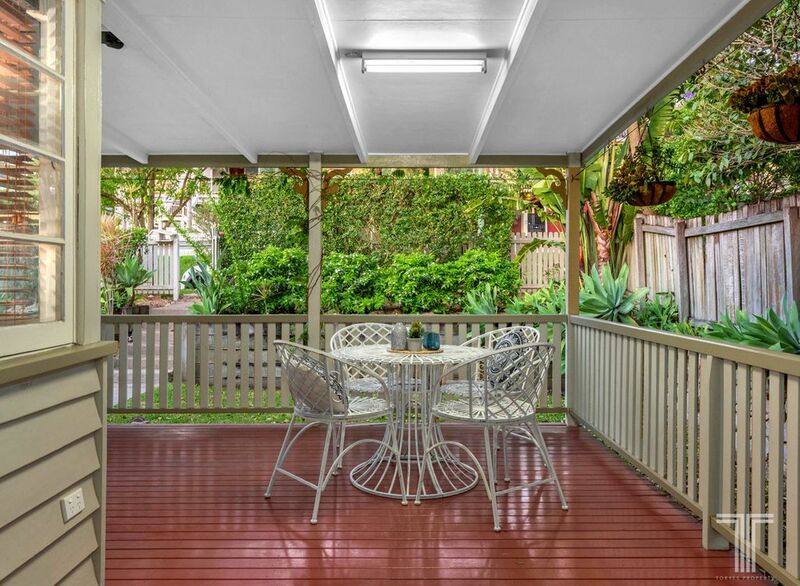 Set on a spacious 607sqm, this charming weatherboard home boasts updated interiors and a wealth of charm. 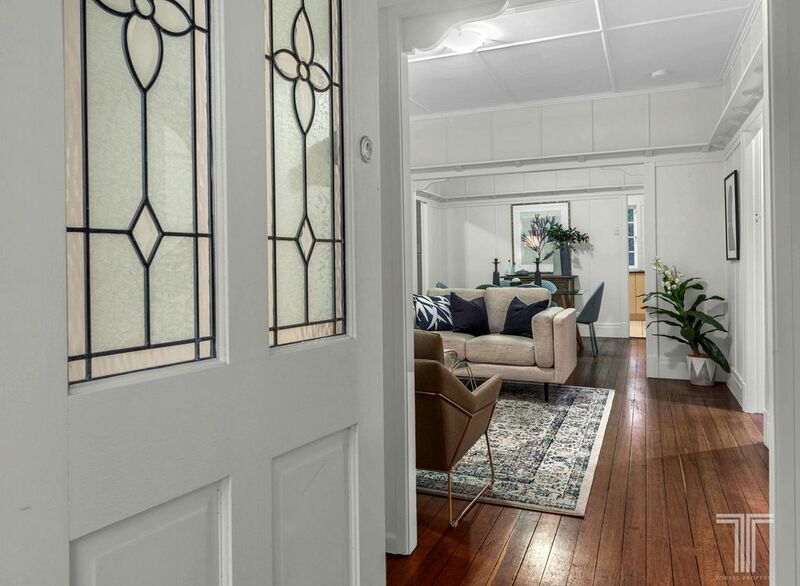 Entering inside beyond the manicured front yard, the home reveals striking polished timber flooring, sleek white walls and traditional woodwork accents throughout. 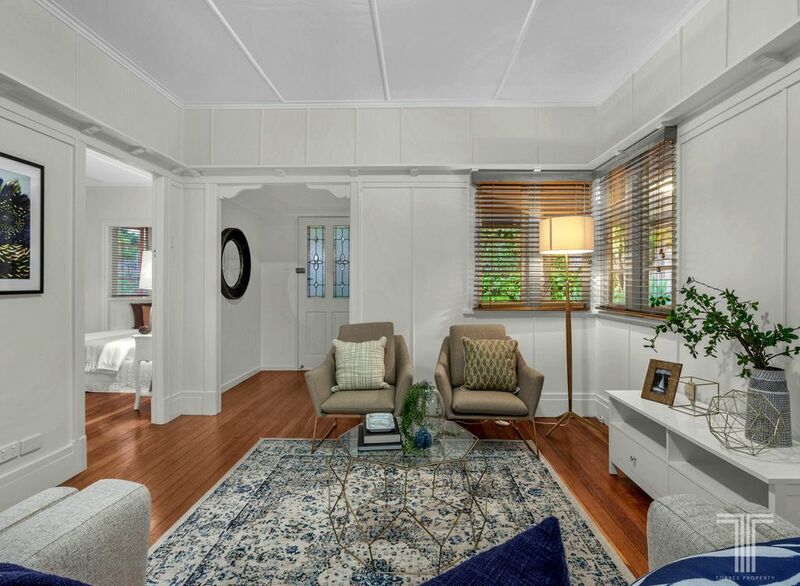 Open in design, the lounge and dining area is exceptionally stylish and inviting. 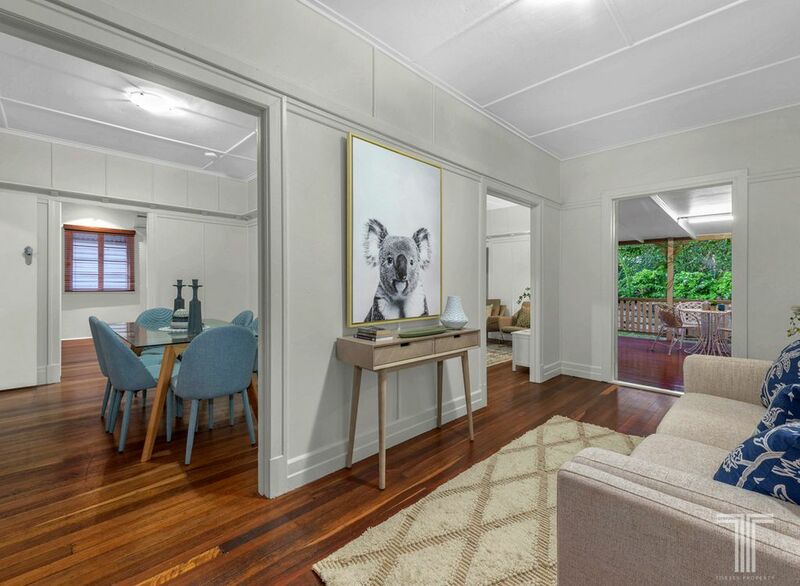 Extending out to the front entry deck, a second lounge room/library provides further living room and features built-in storage with a feature barn door. 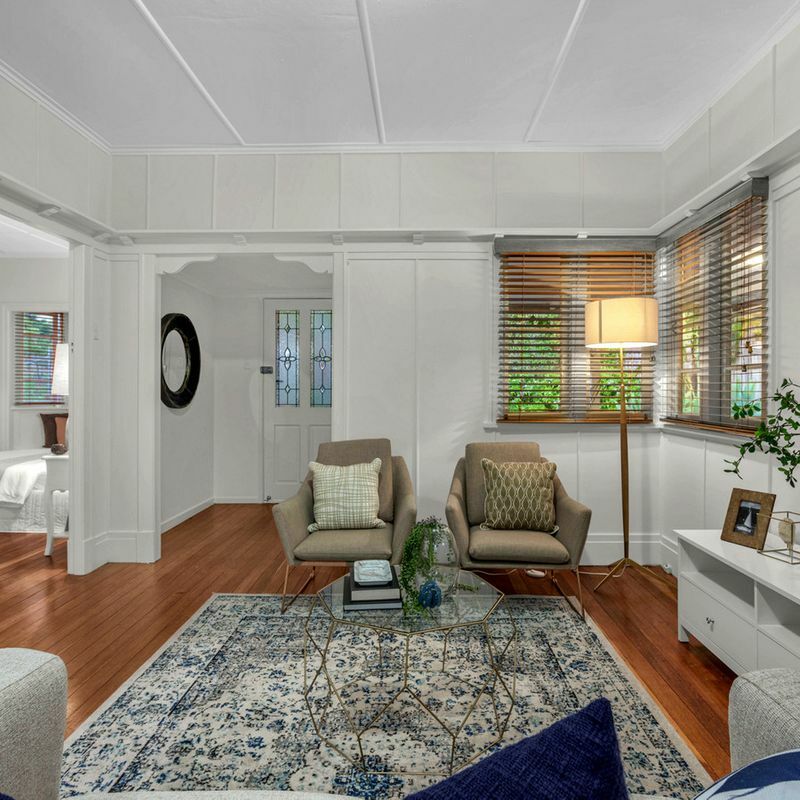 Functional in design, the spacious kitchen boasts ample bench space and cupboard storage, Blanco oven and stove, built-in pantry and large windows which overlook the backyard and draw in cooling breezes. 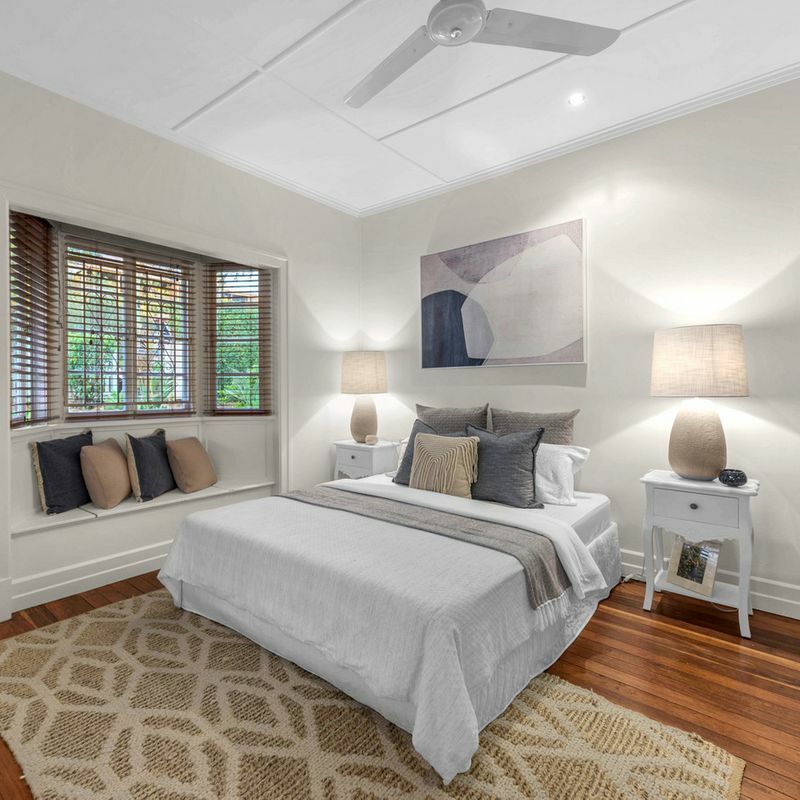 Hosting four bedrooms, three with built-in robes and air-conditioning, the master bedroom also enjoys a quaint bay window with outlooks over the front yard. 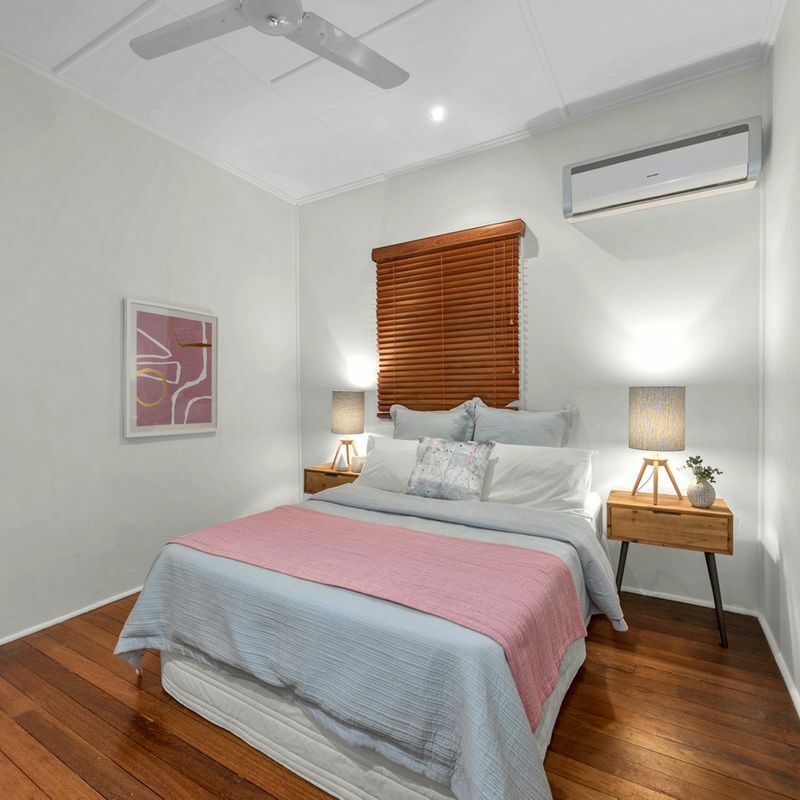 Outside, the fully fenced backyard features an abundance of space for children and pets and even room to add a cubby house, trampoline or swimming pool just in time for summer (STCA). 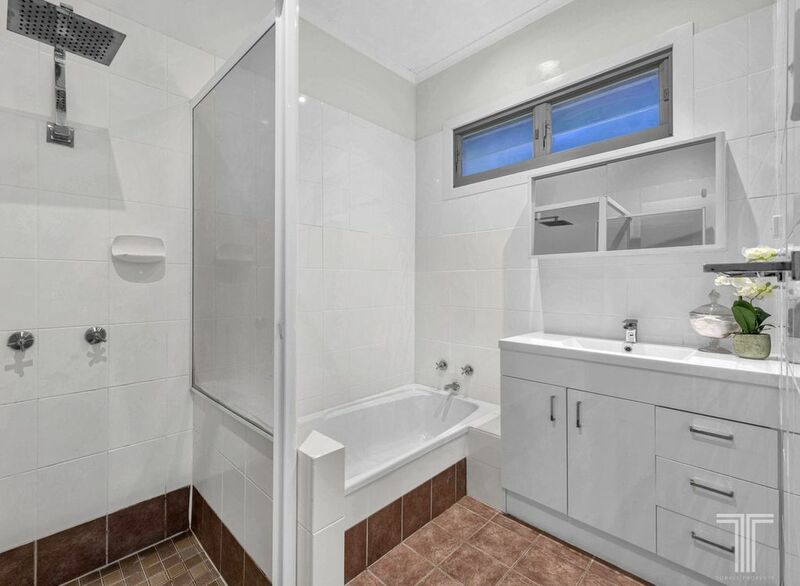 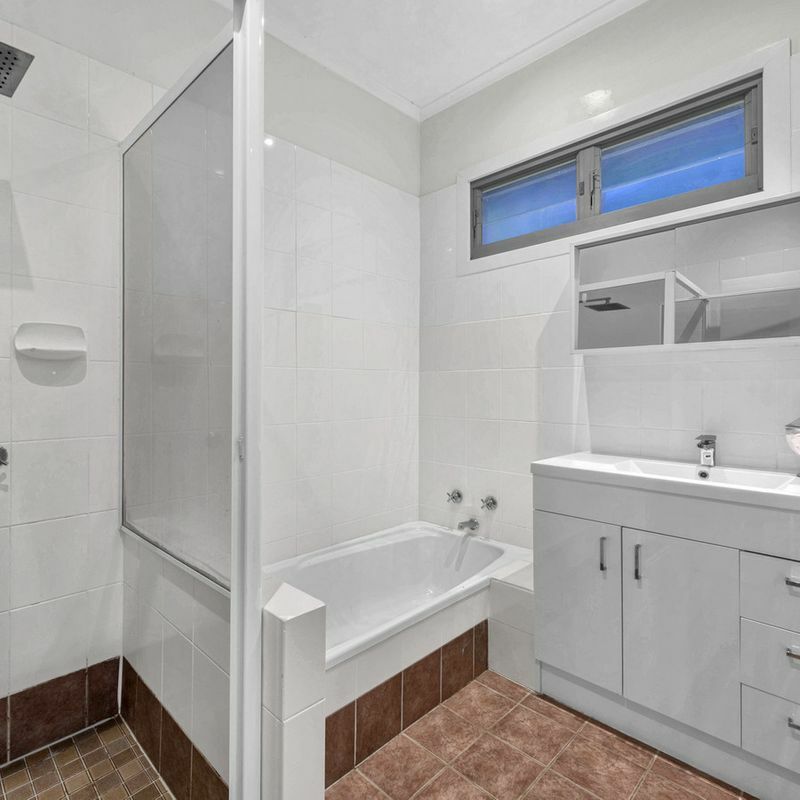 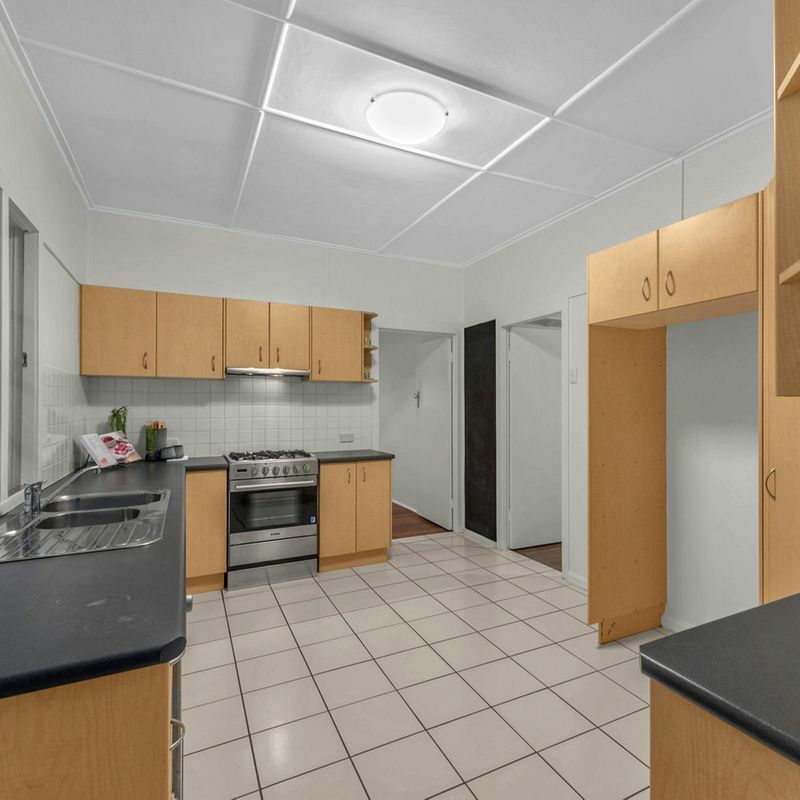 A spectacular position, only 6km to the CBD and walking distance to bus and train stations, parks, café and Norman Park State School. 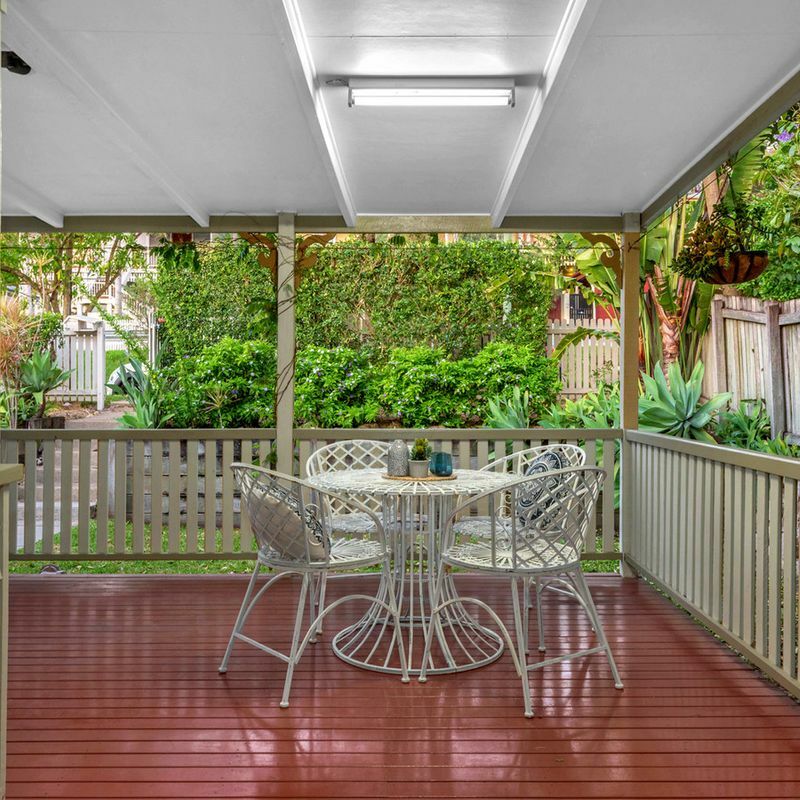 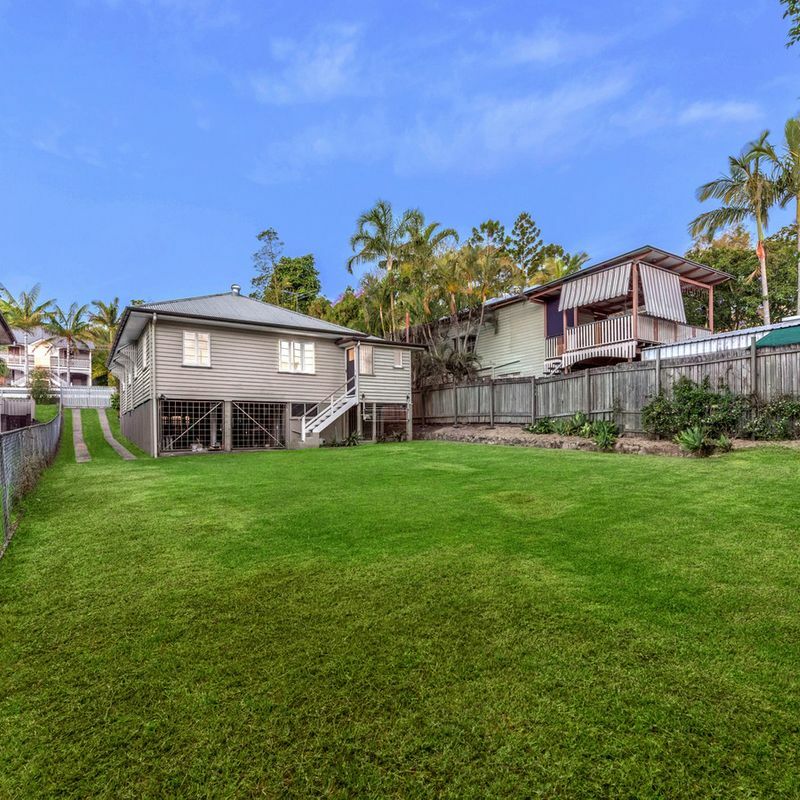 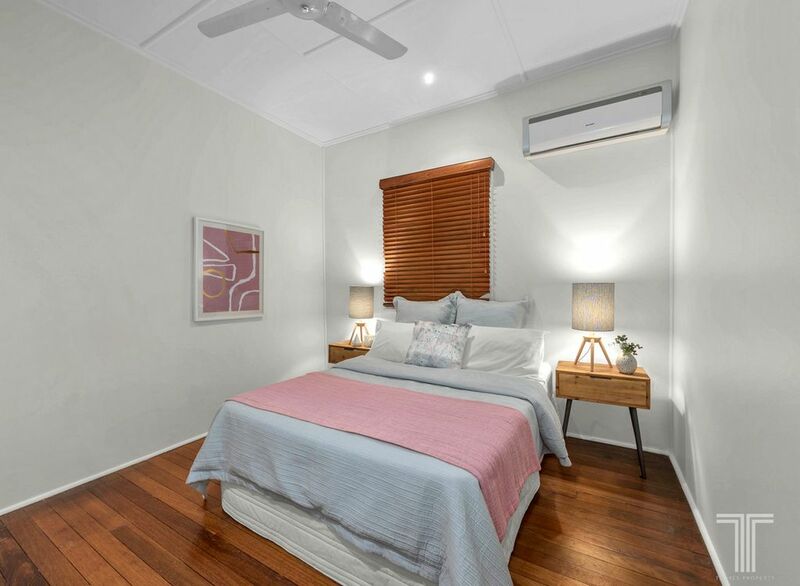 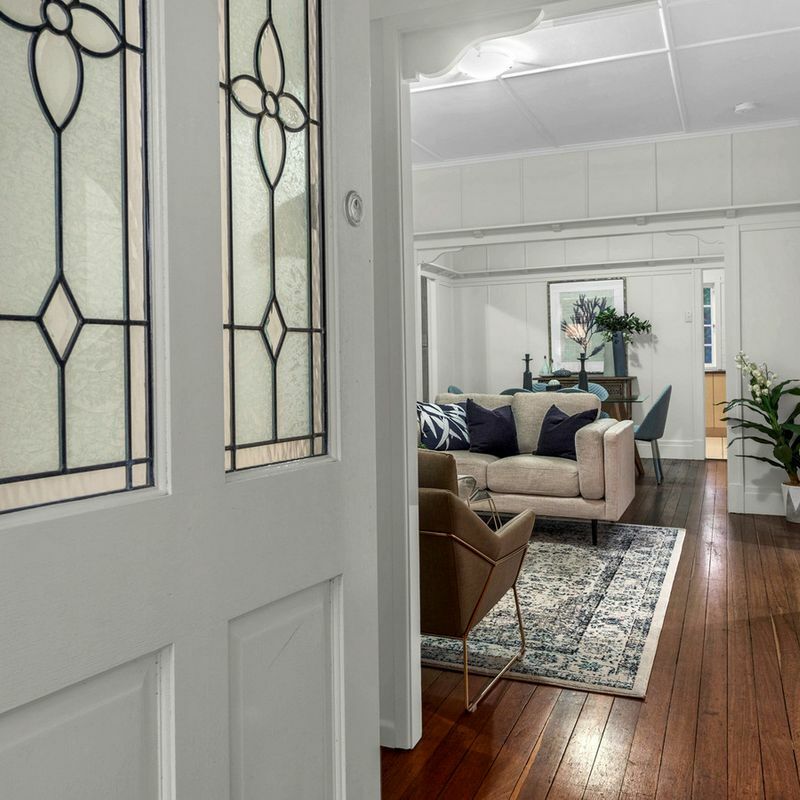 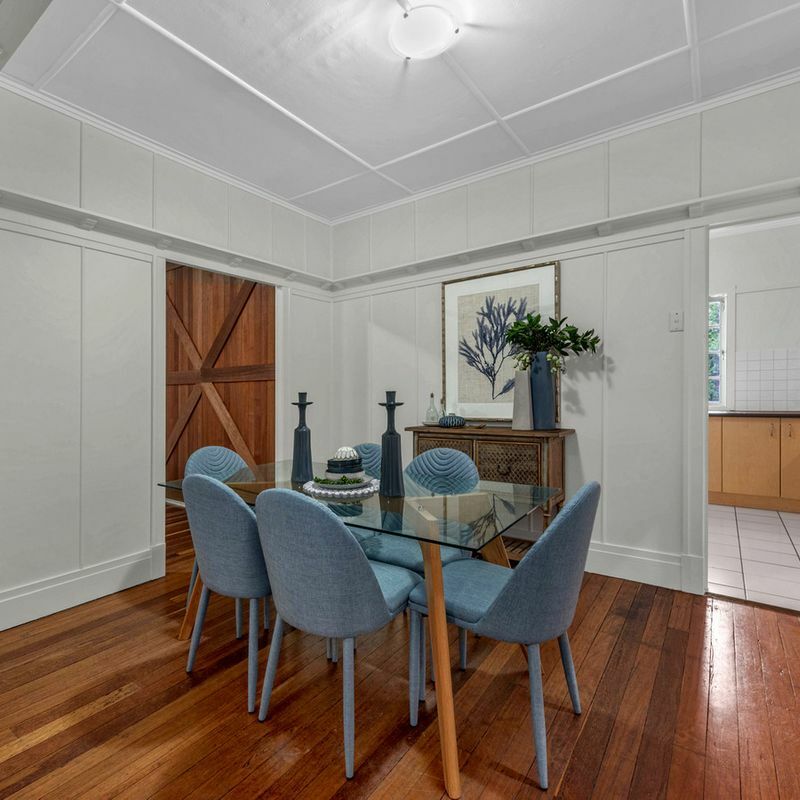 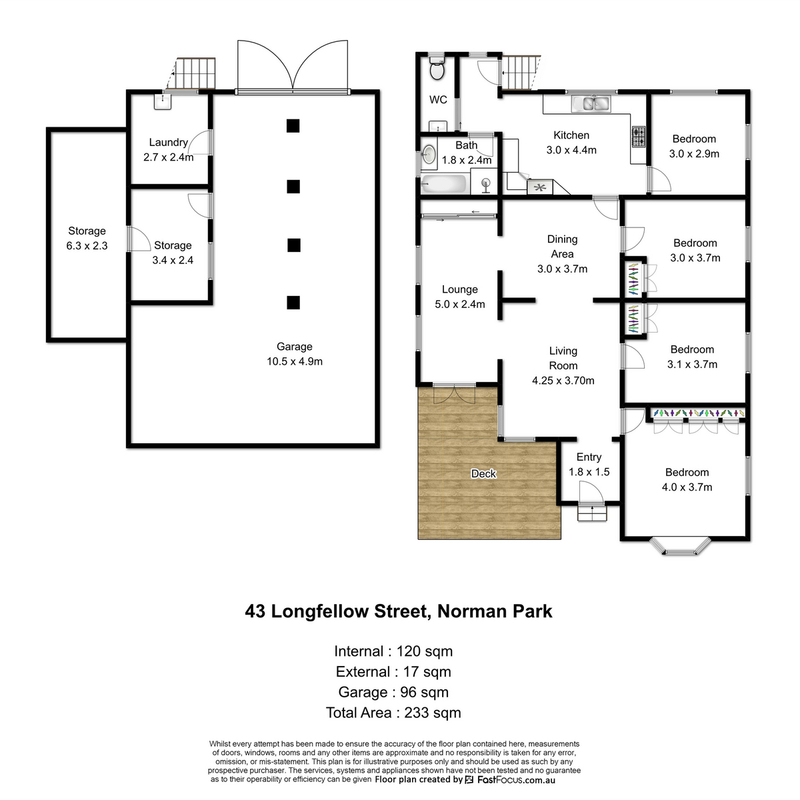 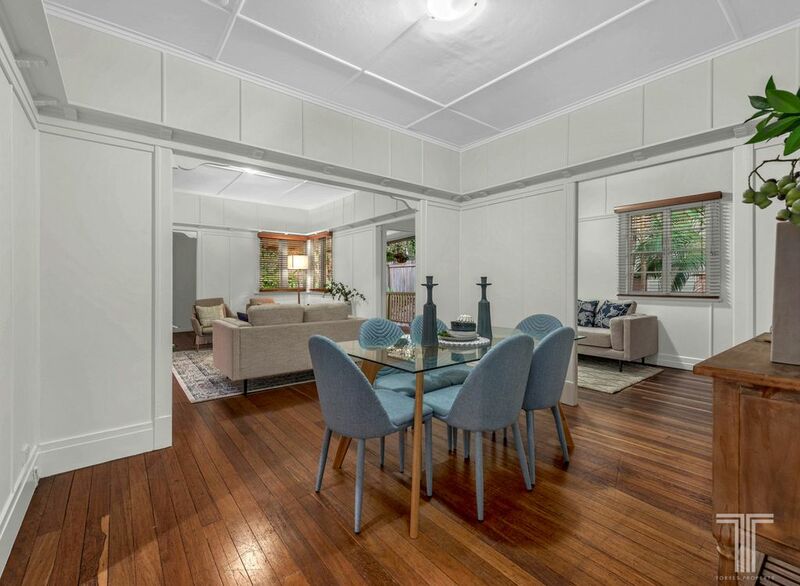 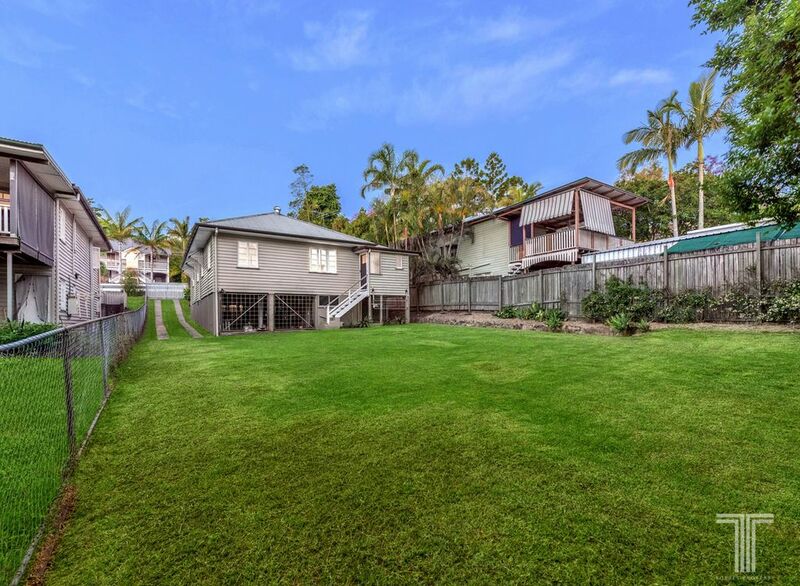 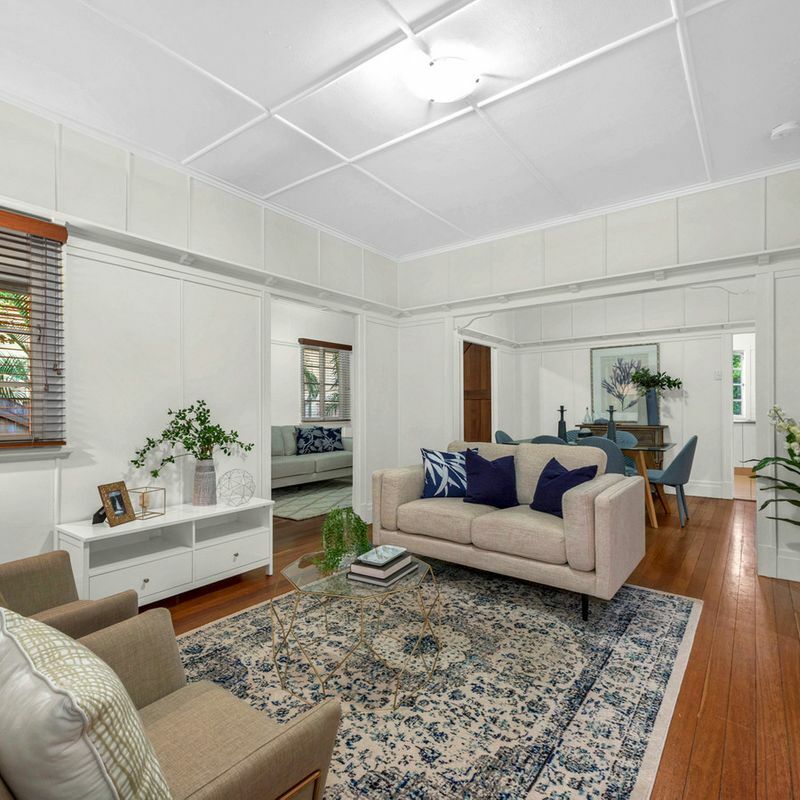 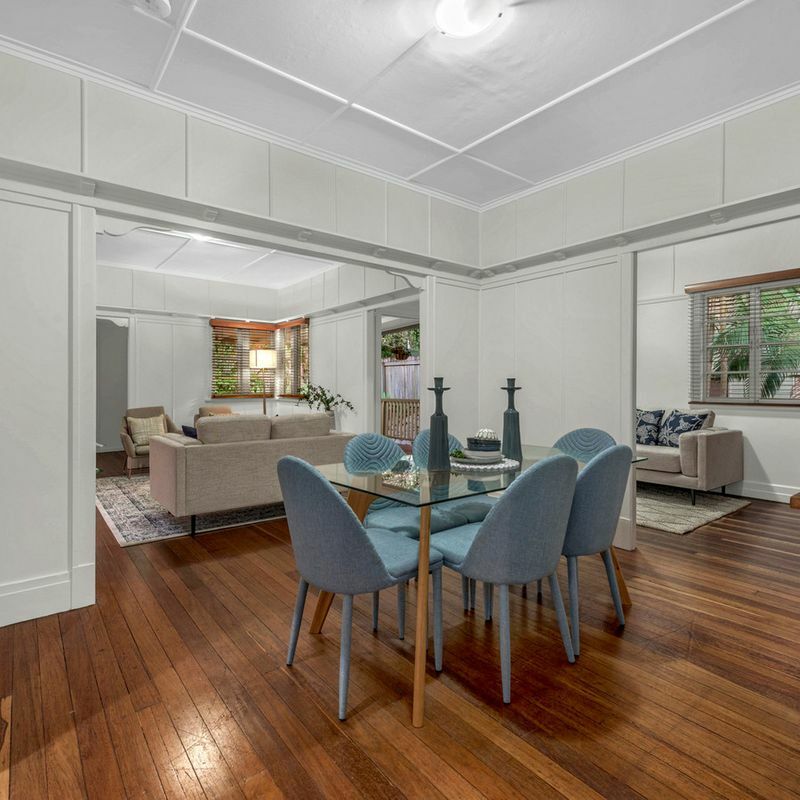 Close to the shopping and dining delights of Bulimba and Coorparoo, Churchie, Lourdes Hill, further local schools and day care, this position offers everything you and your family need, and more.